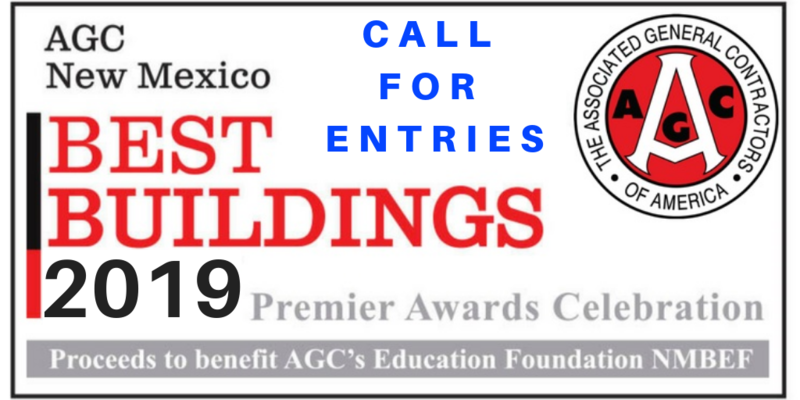 AGC New Mexico invites you to submit your application for a 2019 Best Buildings Awards. This awards program is designed to recognize our member’s contributions to both our industry and our region and highlight the outstanding work you do for our community. The program features simple submission requirements to ensure every firm has a chance to participate. The winning entries will be announced at the AGC Best Buildings Awards Gala on May 3rd at Sandia Resort & Casino. With the upcoming deadline for award entries on January 11, 2019, the AGC Award Entry Orientation Webinar is recorded here. The webinar provides a helpful review of the contest rules and criteria, as well as tips on submitting a strong entry. Please contact Kelly Roepke-Orthat the AGC office if you have any questions or need additional information (505-842-1462). Best Buildings is an opportunity for the New Mexico construction community to recognize your good work which demonstrates the high standard of excellence for which AGC members are known. We look forward to receiving your entry and celebrating with you at Best Buildings May 3, 2019. View VIDEOS & PHOTOS from last Best Buildings!